Beautiful Car! can't wait to see it finished. Wish mine was that far, still gathering up pieces, thanks for the inspirational pics! That survivor 68 Superbee looks great, to bad that it is a once owned one or did you get great money for it? Welcome to the site! Post some pics of your car - we like pictures. As for it being on stands, you've got to introduce yourself to Cranky. It was a great car. Got a fair price for it. 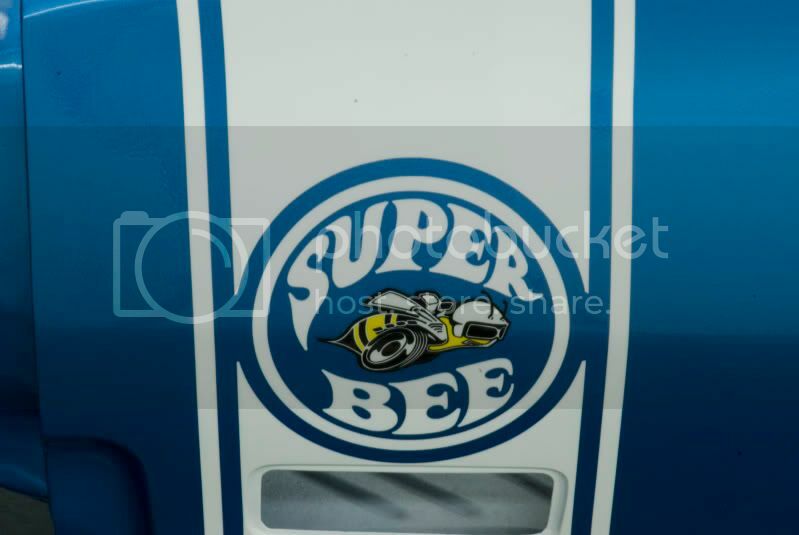 While I really like all Super Bees, I lean closer to 69's and closest to 70's. 68's to me are the most conservative looking of the bunch. I have had a "few" of each and finally found my holy grail 70 Bee last year. Rust free California built E code, EW1 Alpine white, V6B Ledger Blue C stripe. Coupe, 383 Auto with AC & B7 Dark Blue bench seat interior. Still gathering up parts to do complete resto. 69 RR, 3rd owner, oringinal drivetrain stored away. Currently running a mild 440, 727, Gear Vendors OD, 3:91, Classic Auto Air. Restored in 2006, Drove it 7800 miles in 2007, stopped in Tulsa for the unearthing of the 57 Plymouth, went to Carlisle and beyond. I had a great body and paint guy who I assisted through the whole process learning alot. Last edited by NAS Backyard; 08-16-2009, 06:27 PM. here is one of my chargers.it has the 580" motor that dynoed 850hp-750tq. Last edited by old school; 02-28-2011, 06:20 PM. Last edited by old school; 02-28-2011, 06:19 PM. Great looking Charger! Would love to see a video of it (hint, hint). Hell , I'd just like to see it period . Got stopped before I got started . my 68 r/t charger.it is a real r/t with a four speed and 3,54 dana.it now has a 500" motor that makes about 700 hp.